Sophisticated Lady is one of the most famous jazz standards written by the great Duke Ellington, who was one of the most famous jazz composers and band leaders from the 20^th^ century. 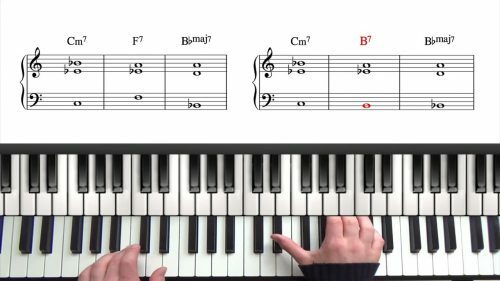 Written in the key of Ab Major, it follows a standard 32 bar A-A-B-A form. 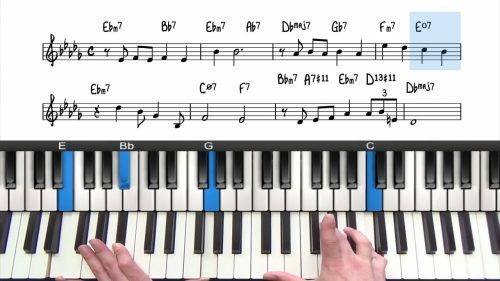 The tune is quite challenging to play in places and contains a lot of chromatic movement with dominant chords. This makes it a nice tune to study altered harmony and upper structures. In the first section of the video we will explore the A section of the tune. Remember the A section repeats 3 times so we will be looking at different ways you can voice the chords to add variety to the performance. The descending sets of dominant chords in the A section are quite tricky to navigate at first but using parallel voicings makes the task is much easier. 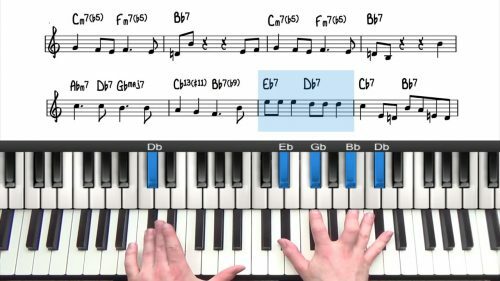 Moving into the second half of this tutorial we adopt a basic stride style by playing the roots way down in the lower registers and then moving up with out left hand to play left hand voicings. The bridge of Sophisticated Lady has a completely different feel to the A section but sounds great with a stride piano style left hand. This is one of Duke Ellington’s greatest ballads – enjoy!